A.G.Trio release their 7th EP and find their way back to vocals - a successful combination of Electro, House and Pop-appeal. The A.G.Trio did a lot of remixes in 2010, and their live show was very successful - not only in clubs but also at festivals. For the turn of the year they come up with one more real blast. "Planet Disco" is an extensive EP with two original tracks in several versions and remixes. 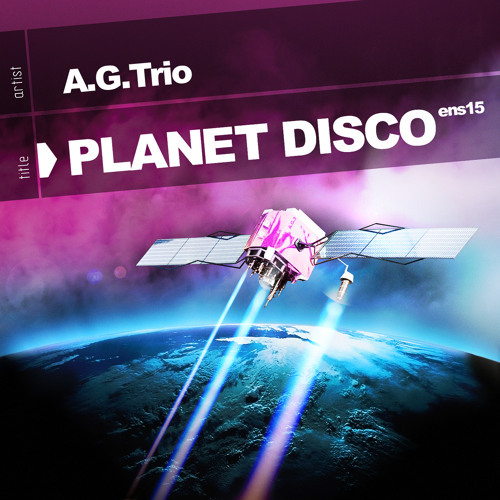 The title track "Planet Disco" can be found in two different versions on the EP: one for the clubs and the version of the music video for "Planet Disco", both by the A.G.Trio itself. The German-Austrian act Beef Theatre has done a rough electro remix with focus for the dancefloor. "Crusade" is kind of a modern popsong with some house elements and a humorous text. It has been part of the Trio´s live-set for some time and proved to be a real darling of the audience. Producer and "Proper Nightlife" label-boss Just Banks - a friend of the A.G.Trio - did a breaks remix with a striking electro bassline. Great work, keep it up! Don't forget to visit our MySpace(http://tiny.cc/hzape) & Facebook page (http://tiny.cc/epntx) Happy New Year!